Black leather ethnic handbag and Huipil. 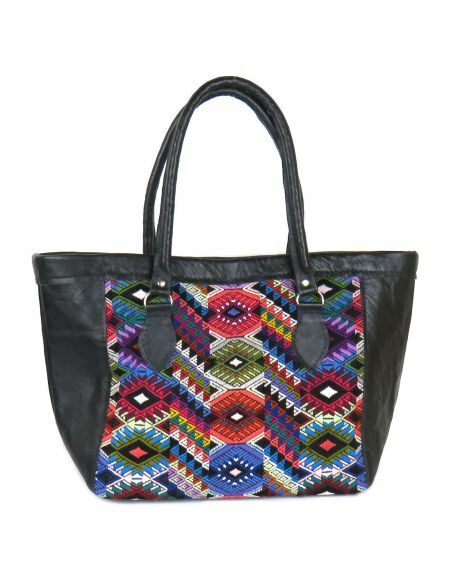 Hand-made in Guatemala. 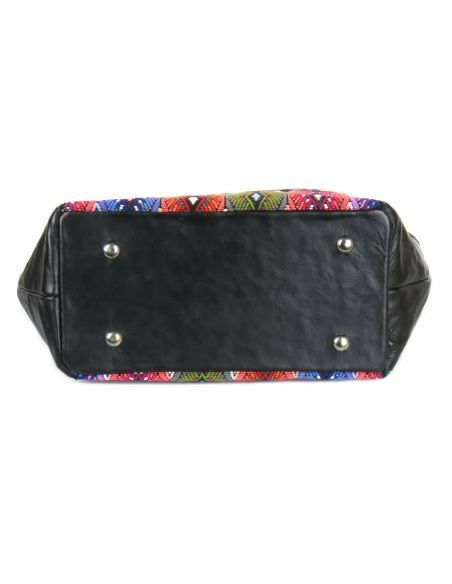 * Materials: LEATHER and HUIPIL from Guatemala. 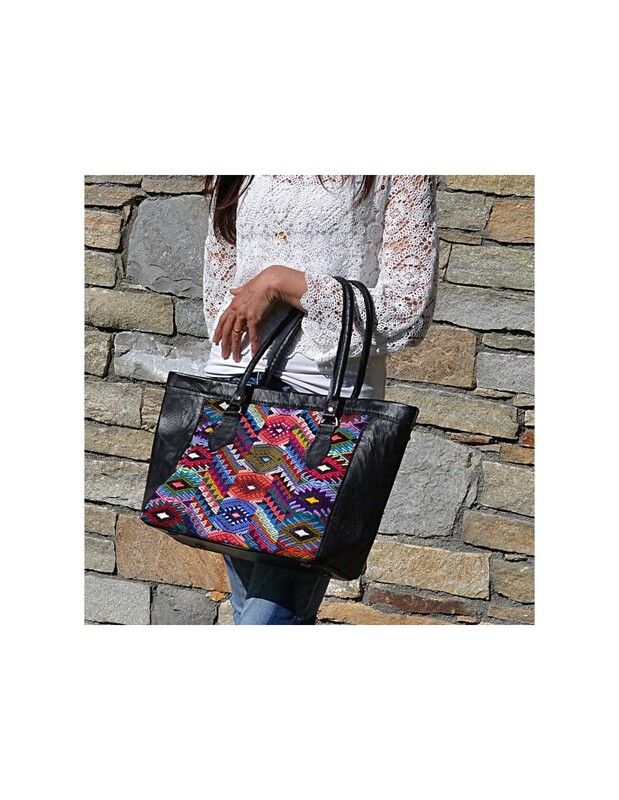 Completely handmade by Guatemalan Mayan women. * Fabrication method : Handmade. Each bag is UNIQUE. * Pockets: 3 inside pockets and one with zipper. * Closure : magnetic Button. * Handles: leather. Height of handles 18 cms; the bag may be weared on shoulders. * Equipment: rings and metallic rivets. * Miscellaneous: Has a flat bottom with 4 protections.